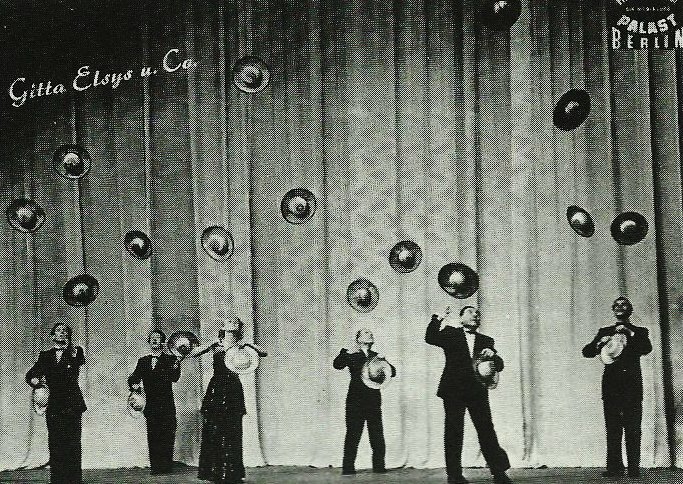 In August of 2013, I wrote an article for eJuggle titled “10 Female Juggling Stars Of The Past.” In that article, which you can read by clicking here, I discussed the careers and contributions of Selma Braatz, Anita Bartling, Kathi Gultini, Lucy Gillet, Jenny Jaeger, Trixie Larue, Ursula Hill Lauppe, Lottie Brunn, Luly Perezoff, and Eva Vida. This article turned out to be one of the most popular pieces I’ve ever written. 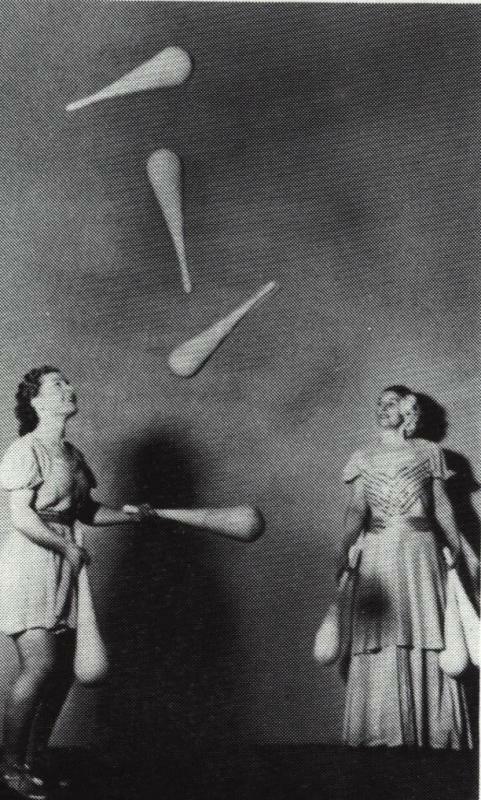 Therefore, I’ve decided it’s time to examine eleven more female jugglers or juggling acts that paved the way for the many wonderful women who are juggling on stages around the world today. 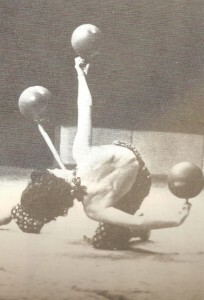 Gypsy Gruss was born Camila Bouglione to the famous Bouglione circus family. In 1970, she married into another famous circus family when she wed Alexis Gruss. 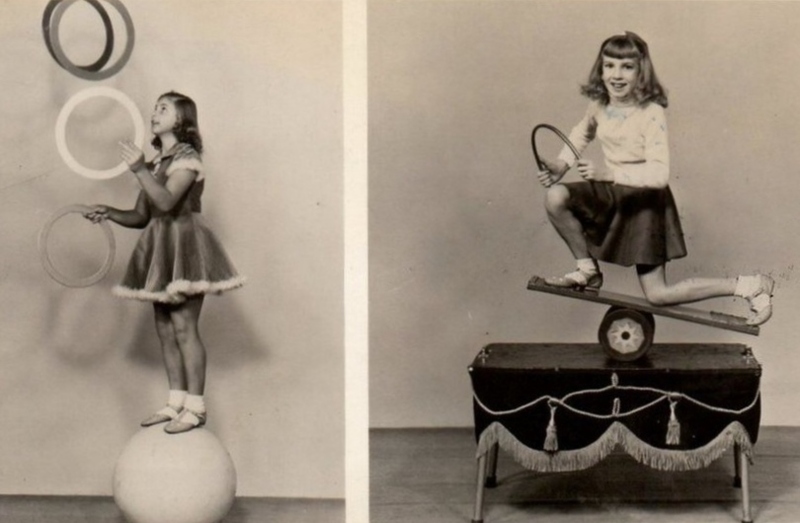 Gypsy is a multi-talented circus performer, having worked not only as a juggler, but also as a tightwire artist, acrobat, trapeze artist, trick cyclist, and equestrian performer. 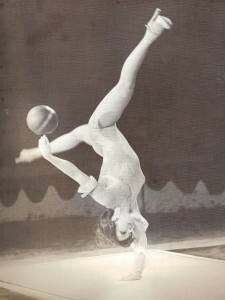 As a juggler, she performed high quality tricks with rings, clubs, ball bouncing, and ball spinning. She is also the mother and grandmother of a number of very skilled jugglers. 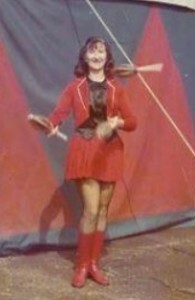 She still performs in her family’s circus today and has written a book about her life in the circus. 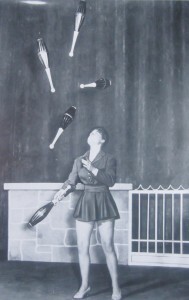 Veronica Martell (born Elizabeth C. Wynne) was an Irish juggler who was popular in the 1950s. While in her teens, Veronica traveled to London, England, to live with an aunt and uncle who were in showbiz. 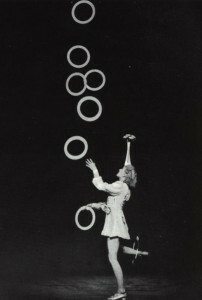 She was taught the art of juggling and mastered it in a short amount of time. She was in Stockholm, Sweden when John Ringling North of Ringling Brothers Barnum and Bailey Circus saw her performing, under the stage name Veronica Martell, and signed her up for the 1951 season with the circus. That same year she appeared in Cecil B. DeMille’s movie ‘The Greatest Show on Earth,’ performing a five ball force bounce straight into an in the air cascade. 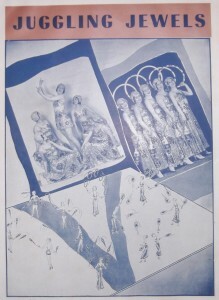 She continued to perform until the late 1960s. Veronica Martell died just two months ago. Our condolences go out to her family. 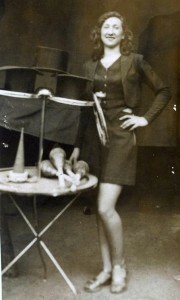 Anita Martell (birth name Nita Janette Davidson) was an English talking comedy juggler in the 1930s, 1940s, and 1950s. She was the daughter of the English Music Hall comedian Jack Martell and Irish singer Mona O’Leary. She appeared in two films called ‘The Private Wore Skirts or Never Wave at a WAC’ (1953) and ‘Botany Bay’ (1953). She also appeared in a British Pathe film, which you can view below. She was a cousin of Veronica Martell. 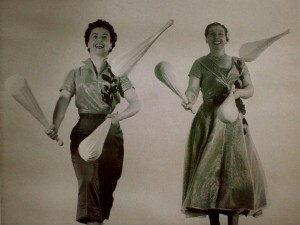 The Mongadors were a French and English mother / daughter juggling duo in the 1950s, 1960s, and 1970s. The mother was Anne Dunne, an English woman born in 1908. 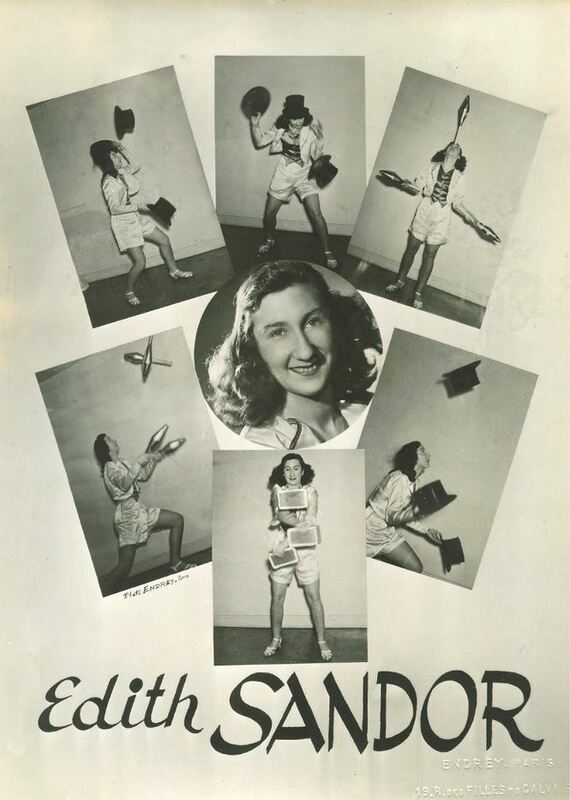 In 1926, she met her future husband, Georges Chambeyron, a member of the French juggling troupe the Mongadors. They married and she joined the troupe. When World War II broke out, she became a leader in the French Resistance. When her husband retired, Anne and their daughter, Nenette, formed a new version of the Mongadors, which became the most famous iteration. They were well known for their use of very large, bulbous-shaped clubs that are similar to modern day fathead clubs. 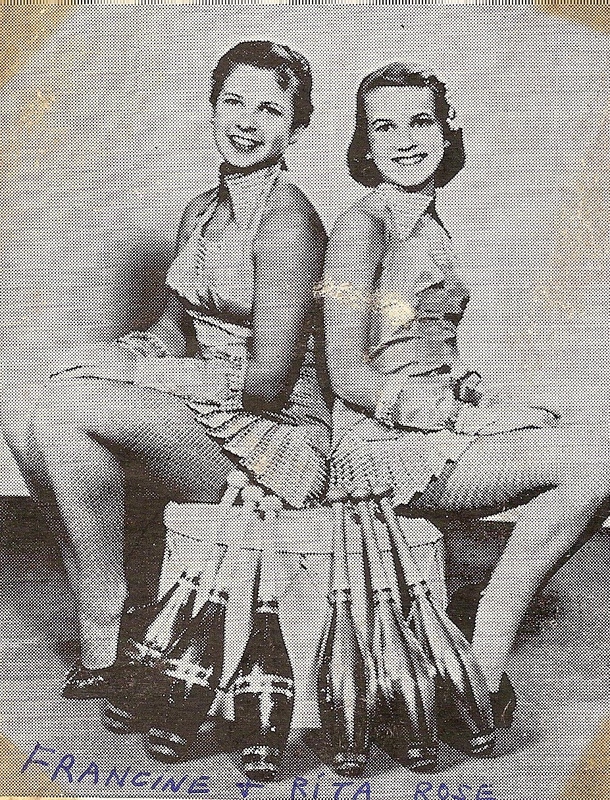 Anne and Nenette performed together until the early 1970s, with Nenette becoming a very skilled juggler. 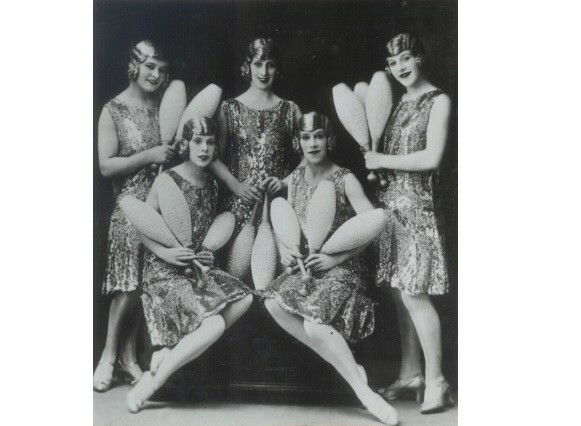 Usually they were billed as the Mongadors, sometimes as Nenette Mongadors and Anne, and sometimes as Ace Of Clubs. Anne passed away in 2000. Nenette went on to become a journalist for the BBC. She is now retired and lives in the UK. 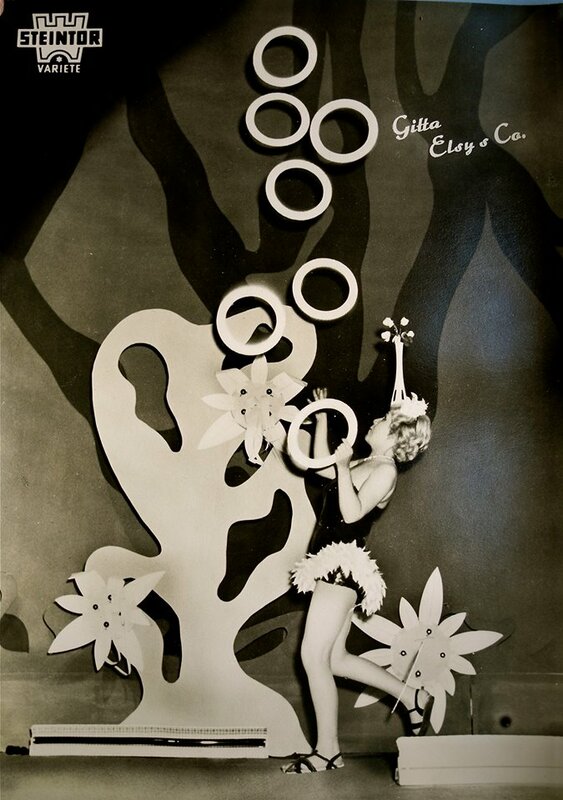 Gitta Elsy was a phenomenal German juggler who originally specialized in ring juggling and combination tricks. 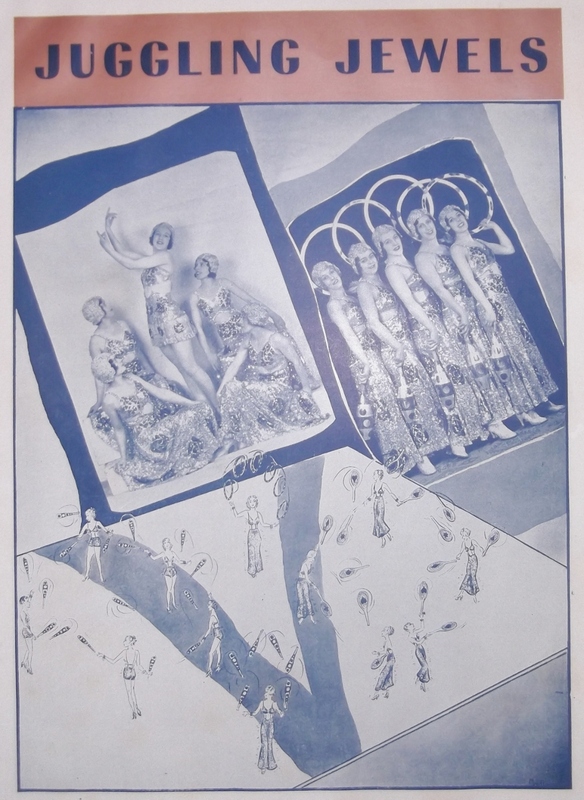 Her father, Kurt Kathert, had founded the original Elsy’s troupe, which did comedy club passing. 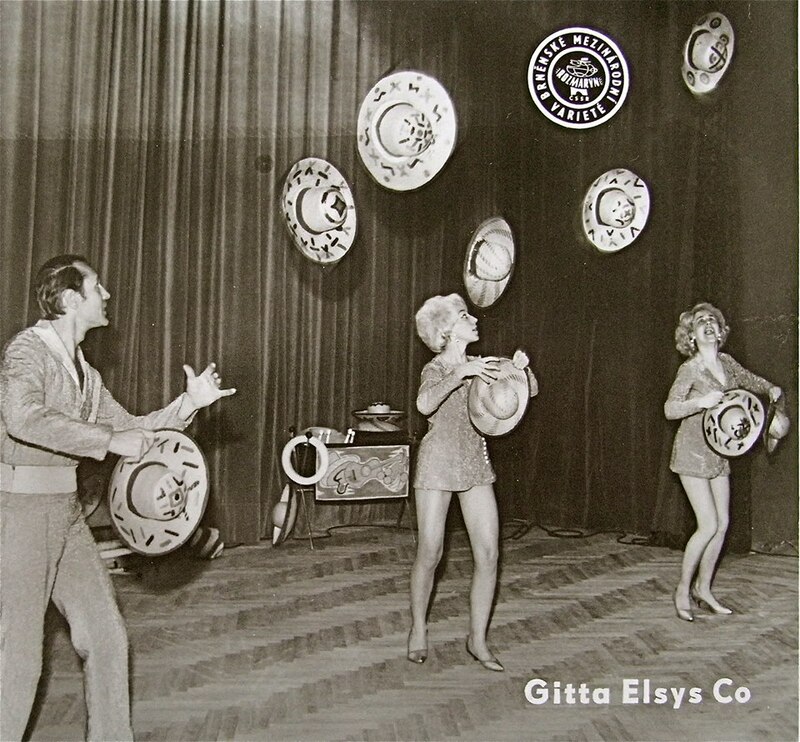 After his death in 1954, Gitta formed a new act which included hat juggling and club passing. Gitta Wallaston first appeared with her parent’s troupe, The Six Wallastons, in 1952. Her father, Baron von Seyffertitz, had formed the Two Wallastons in 1928 and later expanded it to the Six Wallastons. Gitta became the star of the act at a very young age and excelled as a solo juggler. 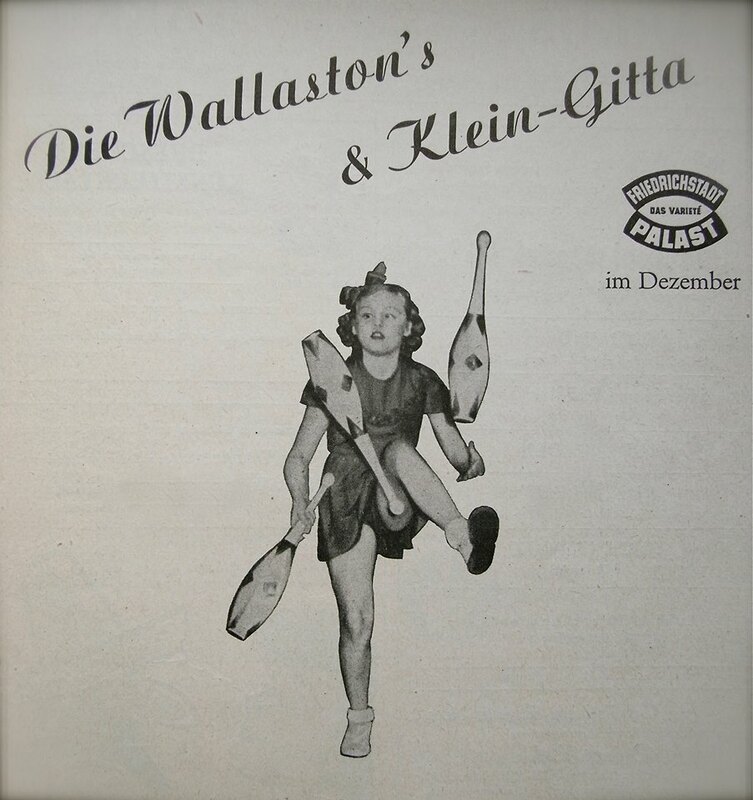 Eventually Gitta started performing a duo act with her husband, Gerhand, which was known as the Wallastons. You can see their act by clicking here. 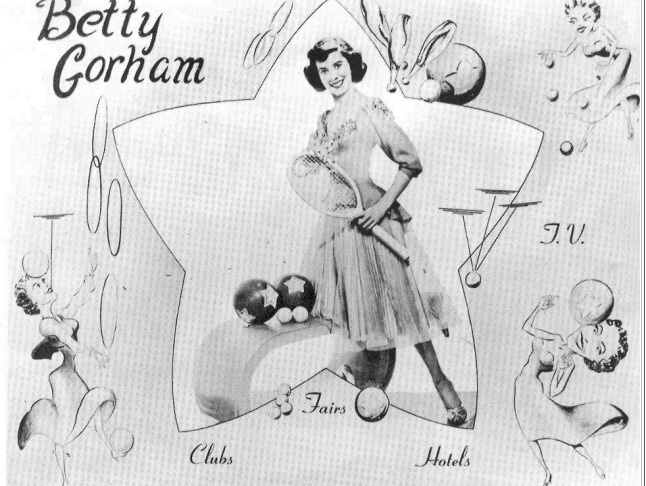 Betty Gorham was born in 1931 and began juggling at age 13. 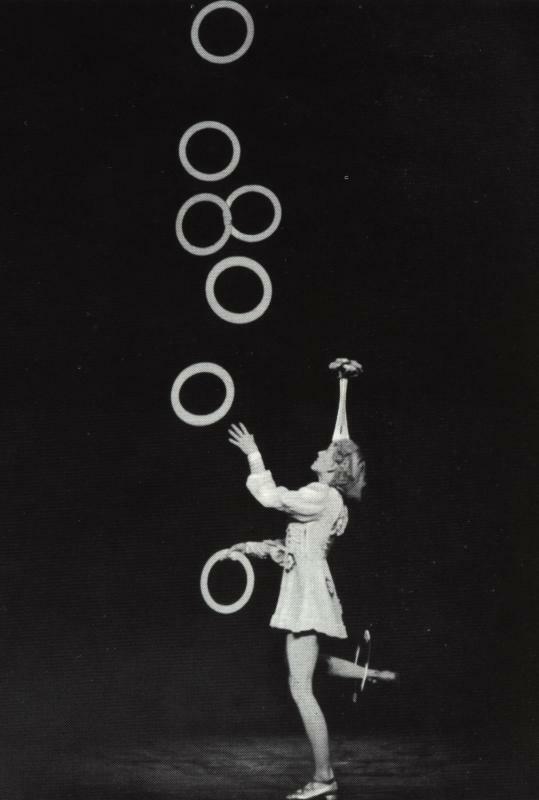 By age 14, she was already juggling clubs and had been brought to the attention of jugglers through Roger Montandon’s Jugglers’ Bulletin. 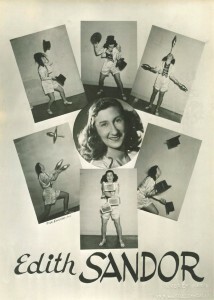 Starting in February of 1946, she worked as a correspondent for the Jugglers’ Bulletin. Once the IJA was formed, Betty became the first person to join the brand new organization. 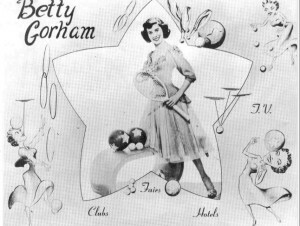 After graduating from high school, Betty became a full-time juggler, performing in nightclubs, fairs, circuses and on TV. 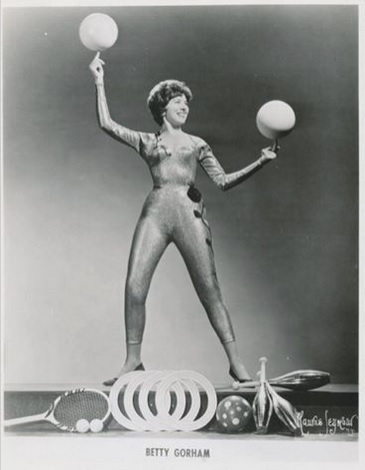 She performed with spinning balls, clubs, rings, devil stick, and tennis rackets. 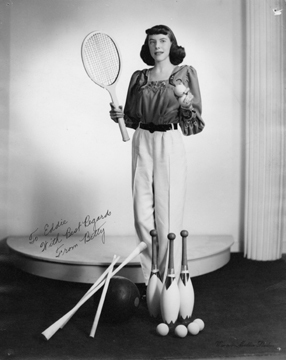 Betty attended many early IJA conventions and served as an officer. In 1961, she met Ken Willer, a hand balancer, and they were married the next year. They continued to perform separate and together for a number of years thereafter, and are still a happy and loving couple today. Betty was made an Honorary Life Member of the IJA in 1996. Betty lives in California with her husband. 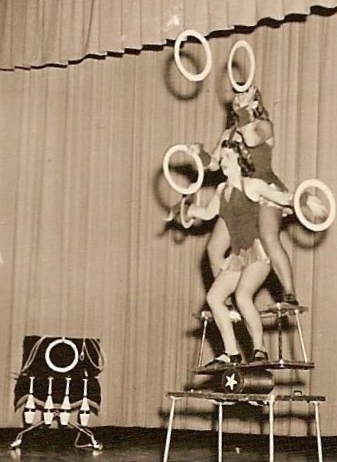 Click here to see Betty do some ball spinning and three club juggling at the 1950 IJA Convention. Diane Shelton, from San Francisco, California (USA), became a national baton twirling champion at the age of twelve. 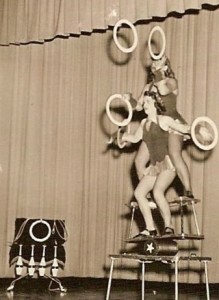 She then put together a circus baton twirling act that contained baton juggling. She appeared on many television shows during the 1960s and 1970s, including the Ed Sullivan Show. 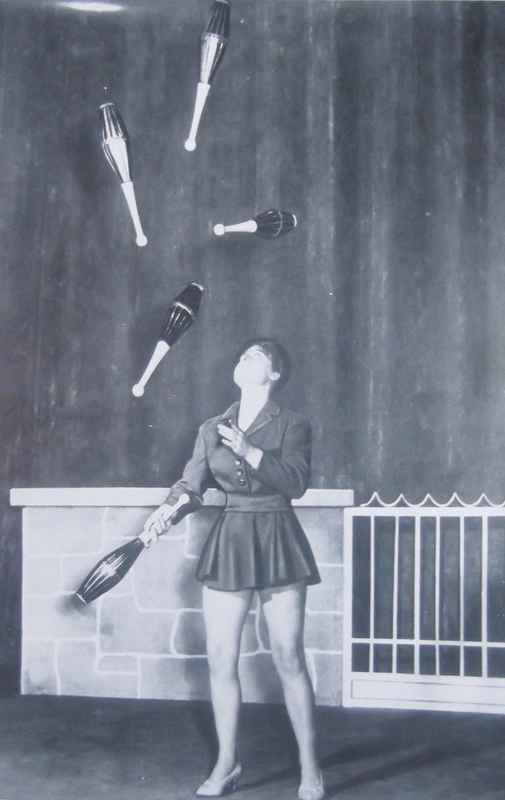 She eventually transitioned into a more standard juggling act using clubs. Later she performed with elephants, which led to an interest in animal health. Diane went on earn a Doctor of Veterinary Science and then a Ph.D. in Comparative Pathology. She is now a professor at the University of California, Davis in the Department of Pathology. 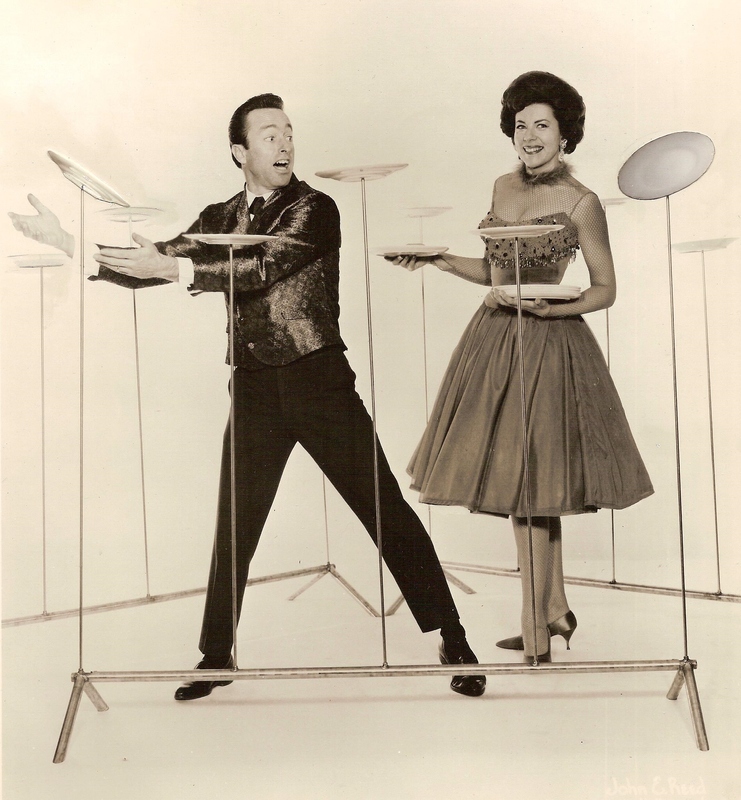 Click here to see another video of Diane Shelton perform her baton twirling and juggling act. Edith Sandor (real name Edit Kleinbarth), born January 5, 1931, is a circus performer from Finland who performed as a juggler in the 1940s and 1950s. 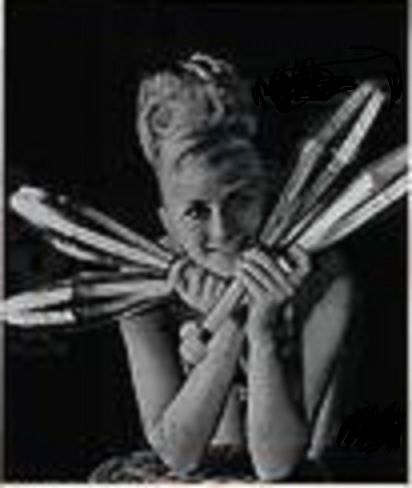 She wrote a book in 2007 titled ‘Ballerina On Horseback,’ detailing her life as a multi-talented circus performer. 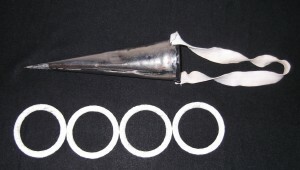 As a juggler, she performed with top hats, clubs, cigar boxes, and a unique cone-shaped metal hat that she wore and on which she caught small wooden rings that she had tossed high into the air. 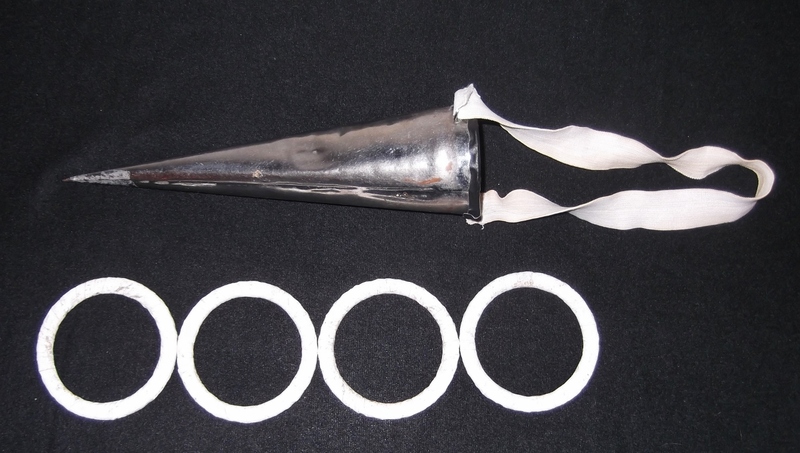 You can see these props in the some of the pictures below. 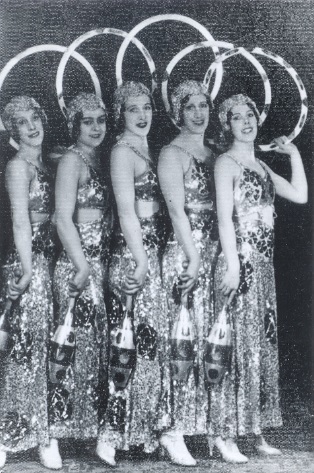 The Juggling Jewels originally consisted of five British female jugglers who began performing in 1912. The members were Gladys Tucker, Nellie Green, Denise Wathon, Bonnie Wathon, and Carrie Cliff. They performed an act of club passing, tennis racket juggling, hoop passing, and a solo tap dance done while juggling. 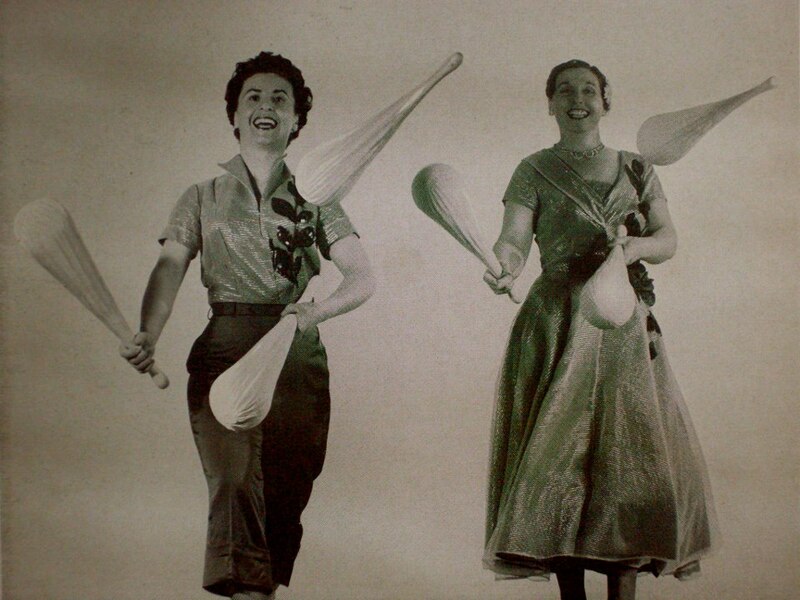 They were perhaps best known for their finale of juggling lighted clubs in the dark. 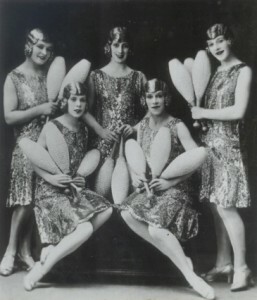 They were given these clubs by the famous Gentleman Juggler Salerno. They were originally known as the Four Clovelly Girls, then the Five Carlton Sisters, and finally as the Juggling Jewels. 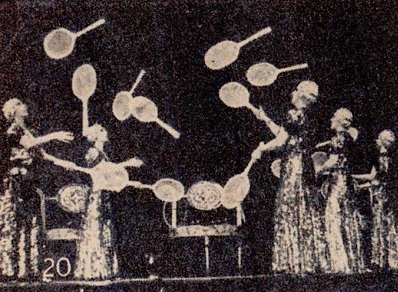 In 1943 they became the Four Juggling Jewels and were the Three Juggling Jewels by 1949. 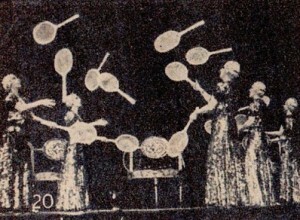 They continued performing until at least 1950. 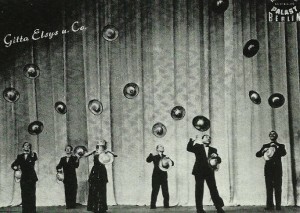 There is one film of the Juggling Jewels performing still in existence. 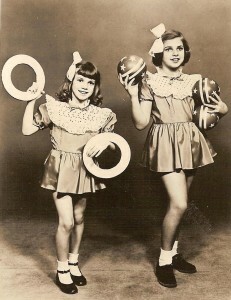 The Juggling Jems were the sister act of Francine and Rita Rose. They were the daughters of Harry P. “Tex” Rose, a famous western performer. 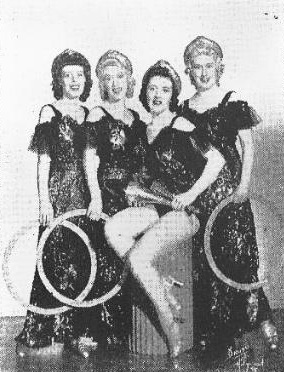 They were a popular act during the 1950s and were even asked to replace Francis Brunn at one point. 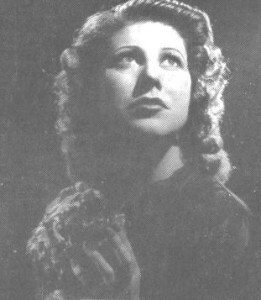 Francine was born in 1943 and Rita in 1941. 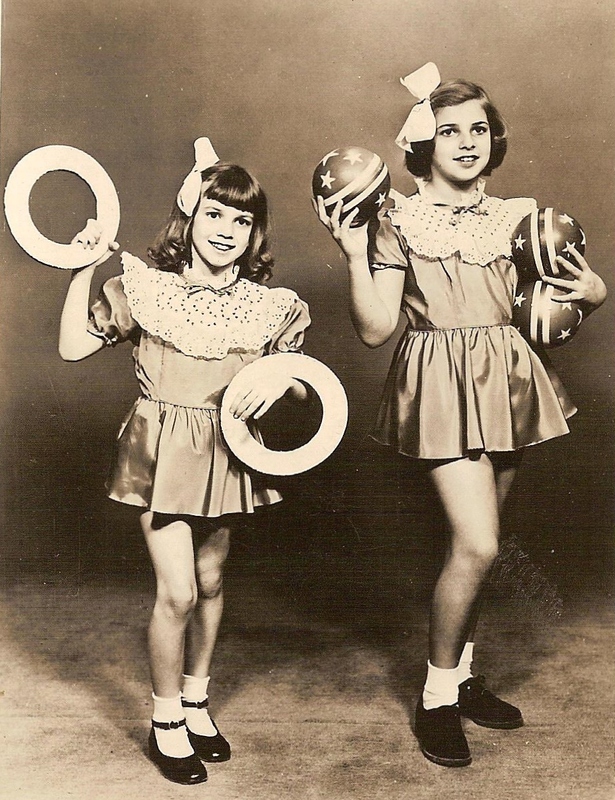 By the time they were 9 and 11 years old, they were show business veterans, having already appeared on television several times and booked for a number of contracts. 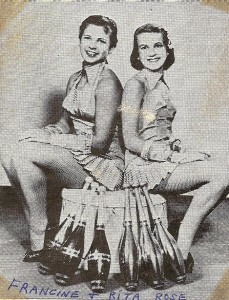 They appeared on television at least 25 times during the 1950s. They juggled balls, rings, and clubs and performed on the rola bola and rolling globe.